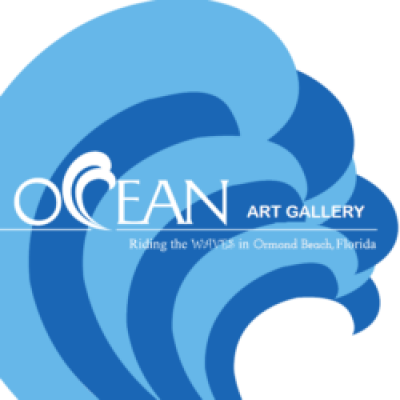 Ocean Art Gallery is a lively and fun place that excites the senses. Our attractive gallery, located steps from the Atlantic Ocean, showcases the talents of over 37 artists from our community, throughout Florida, and across the country. With original art and high quality giclees, we offer reasonably priced art in all mediums, including acrylic, mixed-media, oil, watercolor, pastel, photography, sculpture, hand blown glass, sterling silver jewelry, and more. Local residents, vacationing visitors, and serious collectors can find the perfect piece of art for their home or office. We are also a source for art education, conservation, and wildlife. We often hosts talks and exhibits by local groups and professionals. We welcome colleges and local schools to visit the gallery as a resource for art and conservation. Connect with us on Instagram and Twitter! Thank you for reading our story. Hope you visit us soon!